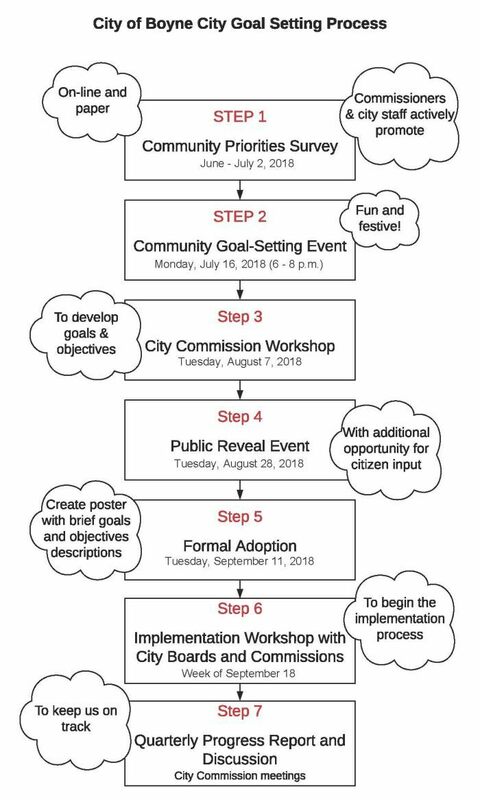 Using the process below and all of the community input gathered, these are the adopted goals for 2018-2020. 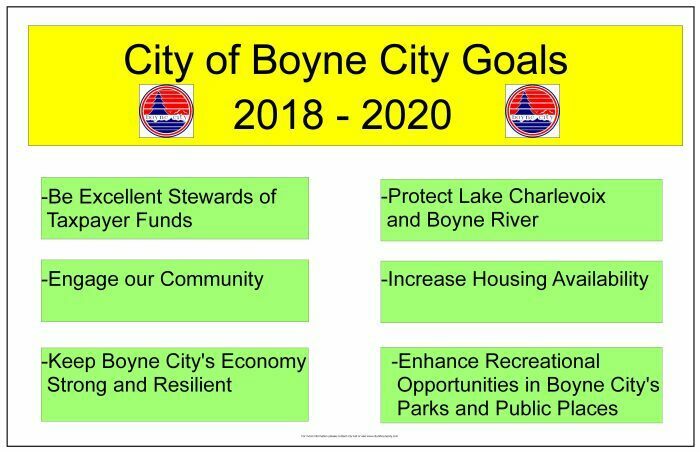 We believe Boyne City is a great place to live, work and visit. To keep our city successful, the City Commission develop goals every two years to focus its efforts. This year, we are asking for your opinion about critical issues first, through this survey. The City will be collecting survey responses through July 2, 2018. Then, please join us on July 16, 2018 from 6 - 8 pm at the Veteran’s Park Pavilion to see the survey results and share your opinions about how city government can address the highest priority issues. Everyone is welcome and snacks and refreshments will be served.